Banking on our enriched industry experience, we are able to supply Japanese Koi Fish. In order to meet excellent quality standards, we are supplying Japanese Koi Fish. We are amongst the most reputed names in the industry, offering Japanese Koi Fish. We are a top notch supplier of Japanese Koi Fish. Our reputed entity is engaged in supplying Japanese Koi Fish. 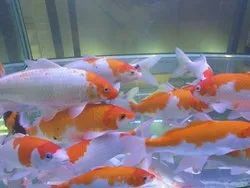 We are engaged in offering Japanese Koi Fish. We are a top-notch organization, engaged in providing Japanese Koi Fish. MOQ For Maharashtra: 25000 Rs. MOQ For Other States: 35000 Rs. 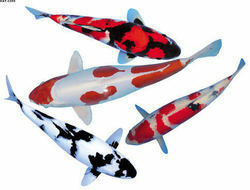 We are engaged in offering Colorful Japanese Koi Fish.